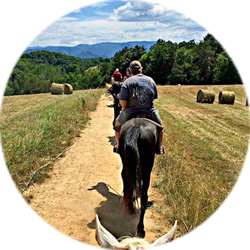 Jayell Ranch Ziplines and Horseback Rides in the Smoky Mountains! 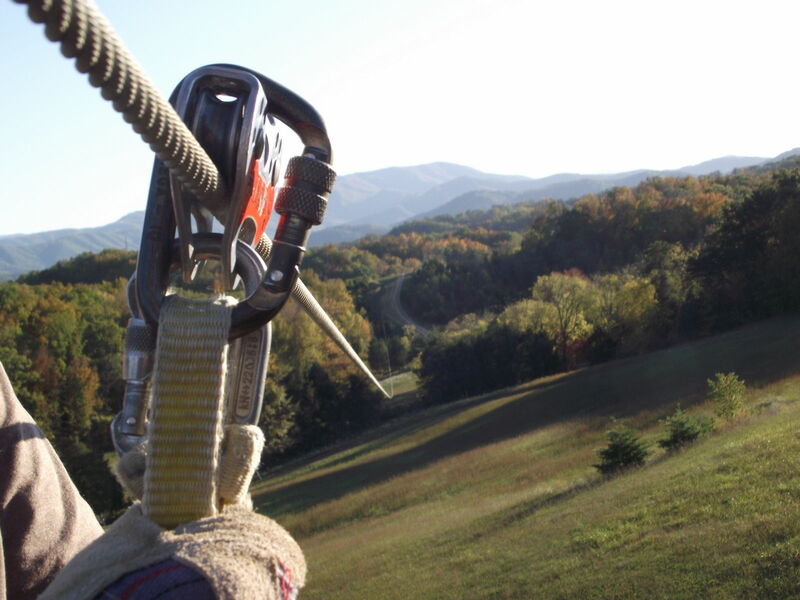 The Longest Zipline in the Smokies! No need for reservations, we are open from 9 am and stop checking in guests at 5 pm. We are also open year round! During the winter months, we do close for extreme weather. All ages can participate! Horseback riding ages 5 and up may ride their own horse, and under 5 may ride with an adult. Any age can participate in ziplines. ATV ages 12 and up can drive their own and under 12 can ride with an adult. 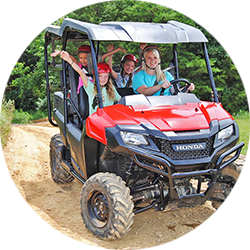 To drive the UTV you must be 21 years of age but any age can ride! Our tours leave out every 15-20 minutes on all three attractions. 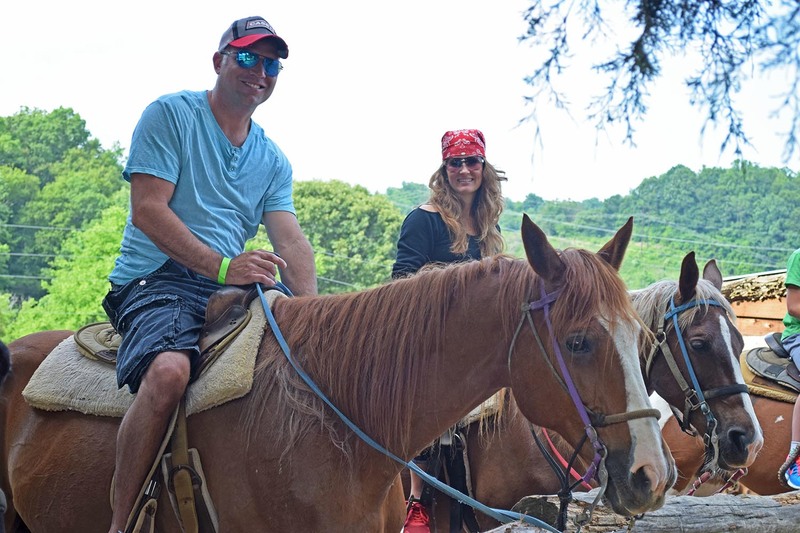 Horseback 300 lbs, Zip Line 275 lbs, ATV no limit. 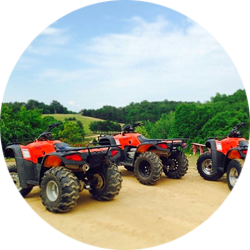 Sign waiver online BEFORE arriving at the ranch and receive $5 off per person on single activities excluding UTV. Ask about our military, first responders, and fire fighter discounts! We do offer discounts for 20 or more participants. Please contact us for more information. Our ranch is 100% handicap accessible for all activities no matter if it is a physical or mental disability. High up in the Smoky Mountains, between thick patches of leafy trees and evergreens, lives a herd of horses that spend their days strolling through trails without a thought for the bustle of city life below. Up there, the Jayell Ranch horses carry tour groups along a 4-mile trail, showing them more than 260 acres of trees and mountain views. 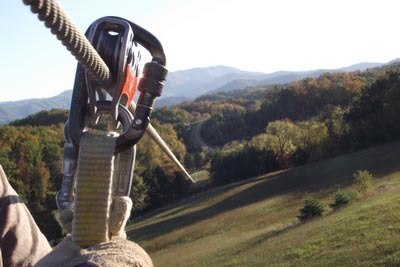 In addition to friendly horses and breathtaking vistas, Jayell Ranch also hosts the longest zipline in the Smokies. 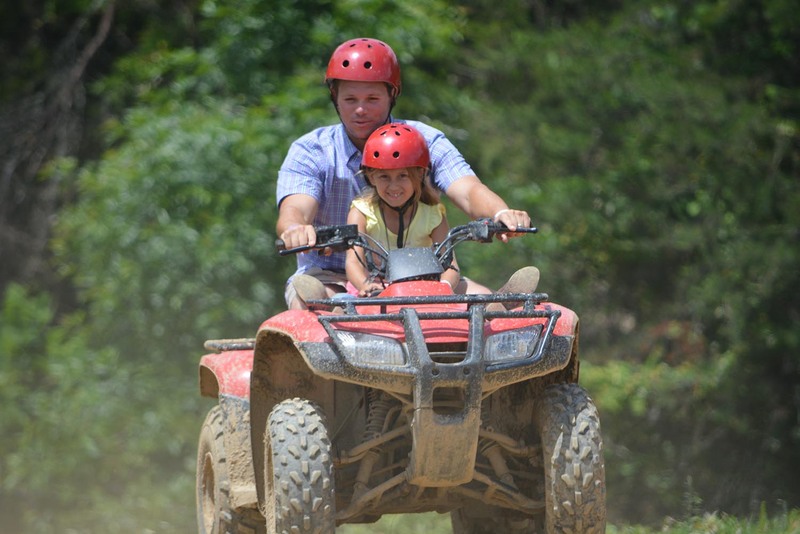 Jayell Ranch is located right next to Dollywood, the world famous attraction in the Smokies. 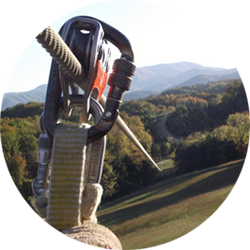 We are family owned and operated, and Safety & Customer Satisfaction is our #1 concern. We offer both individual and combo packages to accommodate your visit. Combos are per person and cannot be split. Prices below do not include tax. 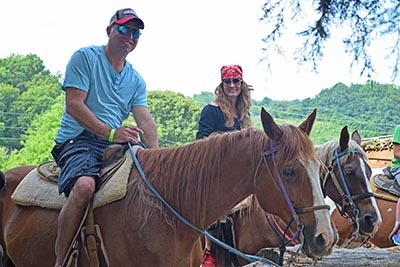 Check out our Ziplines, Horseback Riding and ATV Rides pages for more photos of each tour. Read recent customer comments below and go to the Reviews page to see more! 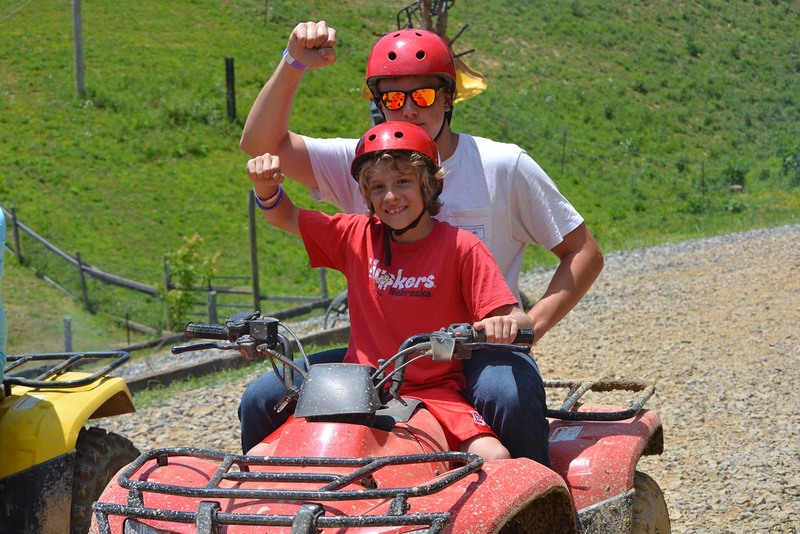 My son and I went on the ATV ride with Ernie as our guide. He was awesome!!! If you think its expensive, it's worth every penny! The experience is awesome but Ernie made the experience, one of a lifetime. Great Times!! Our guide Ernie was super friendly, courteous and helpful. He even took pics and videos of our ride for us. Great view and some good mud holes!